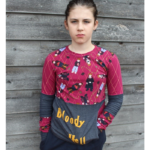 Do you suffer from the Winter sewing blues too? 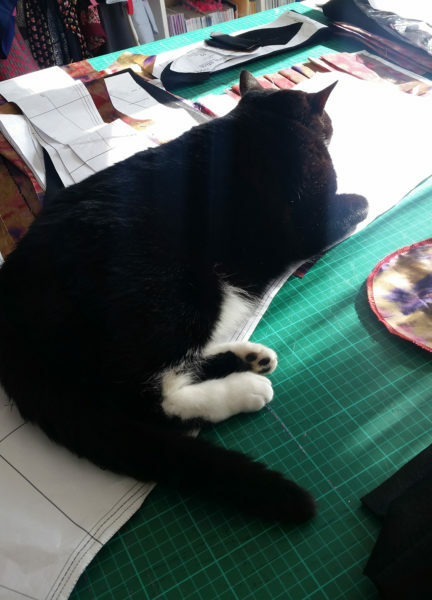 While I love a good sewing day when it’s raining outside it can be hard to find motivation for sewing once it starts to get dark in the early afternoon. My sewing room has poor lighting and it’s not much fun taking outdoor photos of finished garments with the winter weather ruining your plans. Here in Wellington right now the daffodils are up, the Kowhai trees are in full bloom and the Tuis are going nuts. The spring winds and rains will soon give way to summer and we just put our clocks forward for Daylight Savings…and that means I better hurry up and finish my new coat! 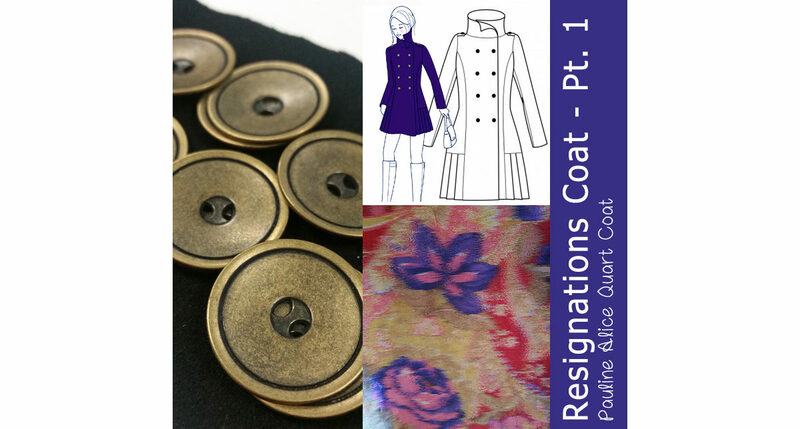 I’ve been working on my Pauline Alice Quart coat for a couple of months now – I’m calling it my Resignations Coat because the fabric was purchased with vouchers from two different job resignations. 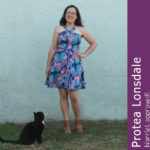 When I resigned from the first job I was delighted to receive a voucher from Fabrics Direct. At that time our team had been reduced to just myself and two guys. One of them remembered me popping into Fabrics Direct after we’d been to visit a client and I had seen a “vintage fabrics” sign outside. Fabrics Direct specialise in curtain and upholstery but occasionally get in fashion fabric including estate sale lots. This voucher purchased the black 100% Wool for the outer. My following job lasted just over a year (and it was a very long year!) 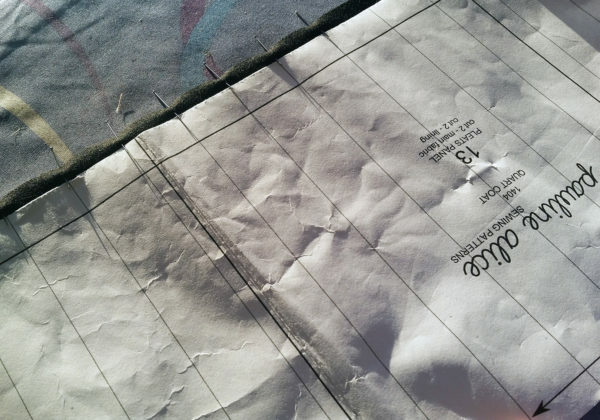 when I resigned I received a very generous voucher from The Fabric Store which I used to buy the outrageous silk lining. I know the silk print looks blurry but that’s actually how it’s woven, it’s amazing! 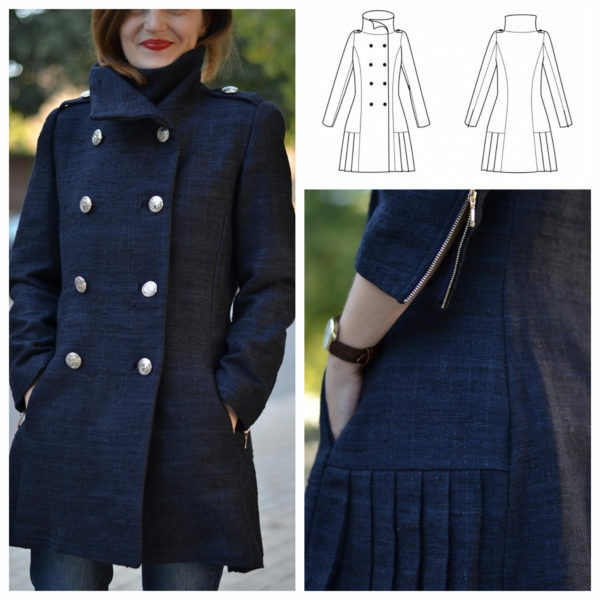 The Pauline Alice Quart Coat is described as a short, double breasted, fitted coat with a high stand-up collar, inseam pockets, long sleeves with zipped cuffs. Inspired by the military outerwear, you will also find epaulettes and a pleated skirt detail at the side. The Quart coat is fully lined. I actually cut this coat out mid last year (hides embarrassed face) and then took a break from it until winter this year. I was hoping to finish in early September when I hit a little snag. You see I bought my zippers early along with the sleeve heads and shoulder pads but the buttons took me much longer to find. I usually like to wait until near the end of a project to find the perfect buttons, that way I get a better idea of size and colour based on the nearly finished garment. This time however I needed them before I could start. I decided early on that this coat was going to be a good wardrobe staple, hence my unusual choice of a plain black wool. Along with a sensible choice of fabric (balanced with the lining fabric, of course) I wanted bound buttonholes for that next level finish. finally found my buttons at Made Marion Craft here in Wellington. Without a finished coat to lay buttons I took the front pattern in instead. 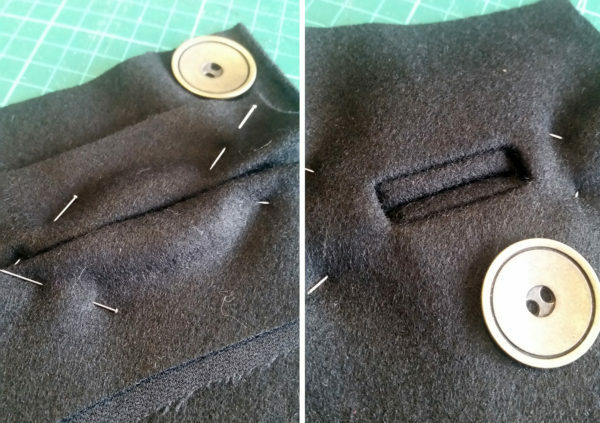 I folded off the seam allowances and just laid out buttons until I found the perfect choice. 28mm antique antique bronze buttons were the winner and I was very excited to get started until I got pulled out my zippers and realised they had silver teeth! 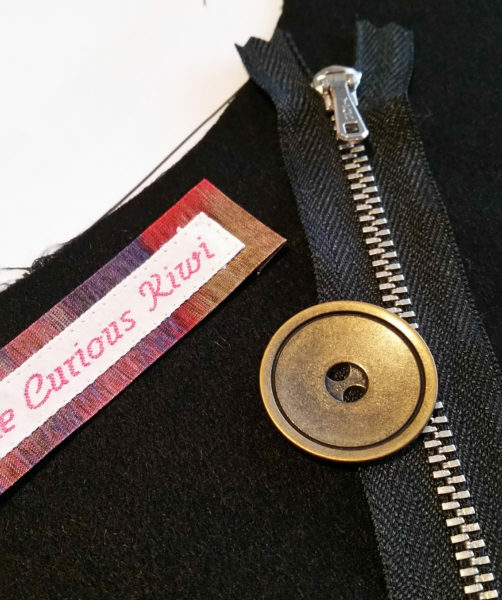 Good quality zippers, excluding your typical dress, invisible and fly zippers, are something I’ve always had trouble sourcing in NZ, especially if you don’t want plastic. 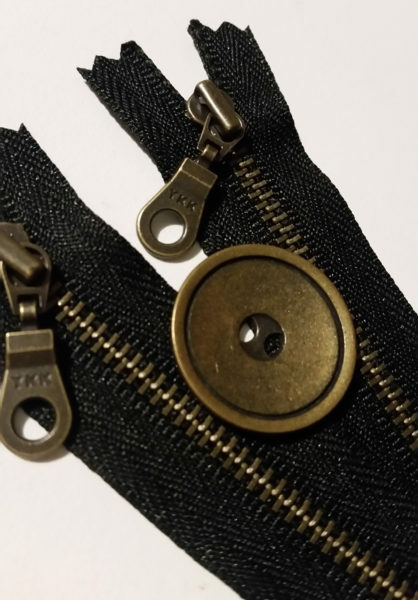 I was lucky when I found my silver metal teeth zippers but sadly I could not find any bronzed teeth zippers locally. I jumped on Etsy and sourced a pair from a seller based in Australia but they took an exceptionally long time to get to me. I also had to buy them slightly longer than I needed but I’ve shortened zippers before so it shouldn’t be a problem. I have been sewing inbetween when I purchased my buttons and before I discovered my zipper whoopsie. 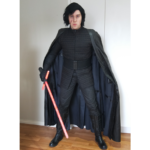 So my coat is partway complete and since this make is a long one I’m going to share what I’ve been up to so far, sewing on the Simple 3223. I’ll be finishing it up in a couple of weeks time on the new Singer Stylist 9100. Please excuse the terrible night time photos! 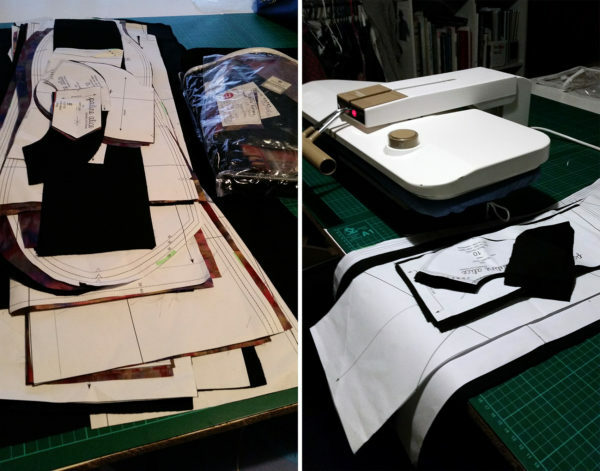 The interfacing was actually the easiest part but it still took a long time. I have an ironing press that I bought second hand a couple of years ago. I won’t mention the brand but if you ever see one of these (Singer or other brand) at a good price I recommend you get it. 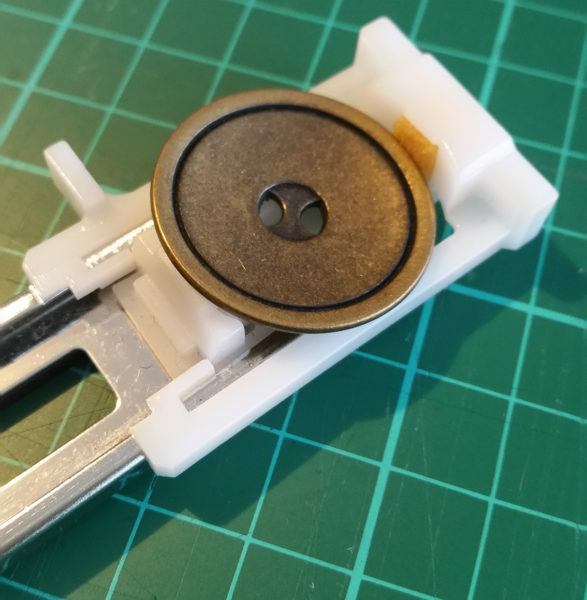 A big pressing area obviously lets you fuse a larger area and you don’t have to stand around holding an iron for ages or keep moving it around to avoid the dreaded steam hole bubbles. The pleated side panels were next and they took a lot of time because there were just so many folds to mark. I wanted to be precise but not muck around so I decided the easiest method for marking the pleats would be with pins. 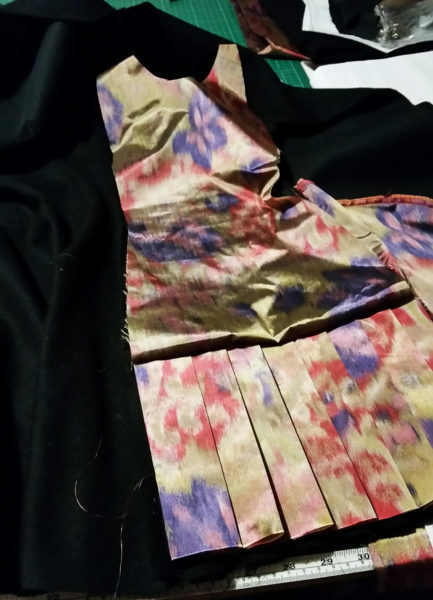 I placed the pattern piece over the cut rectangle of fabric and then placed a pin at each fold line along both long edges. Then I simply folded pin to pin and pressed and steamed and pressed and steamed! Finally it was time for the slightly scary part. Actually it was a good thing I went for bound buttonholes. The buttons might be the perfect scale for the coat but they are about 2mm too big for my buttonhole foot! 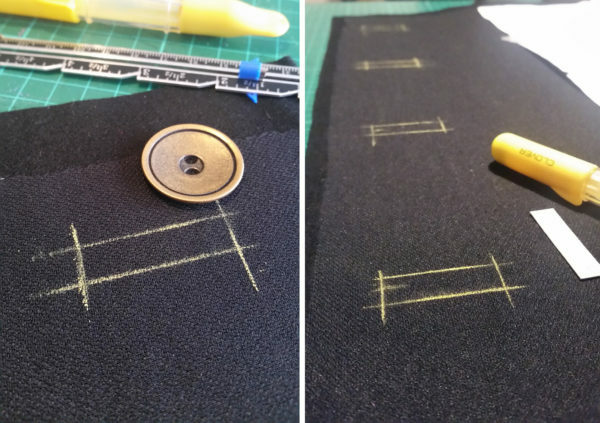 There are lots of great online tutorials for bound buttonholes but I found the Colette Anise sew-along tutorial the most useful with great photos. After I made my templates I practiced making a few on left over fabric scraps first. I always put some scraps aside each project when cutting out. 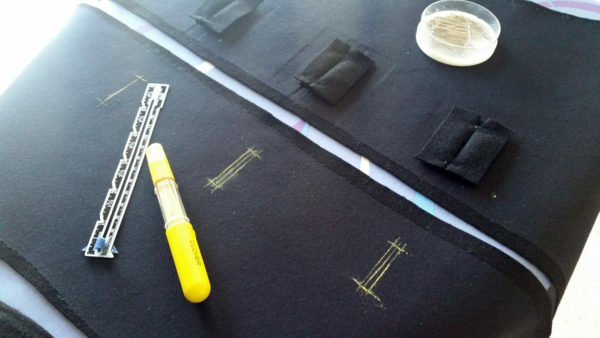 You can practice regular button holes, test tension or your needle selection and fine tune your machine settings but to get it right for each project you need to use the actual fabric and number of layers you will be sewing with. Next I cut out some left over wool squares on the bias and stitched them over my markings. You have to be very careful and precise cutting through the rectangles before turning them through. My favourite part of this tutorial is that you refold the edges of the squares back on themselves to create the lips of the welt opening. 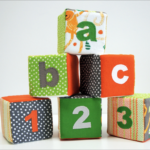 Previously I’ve used a tutorial where you cut additional small rectangles to fold and apply. This way worked really well for the wool and was much less fiddly. 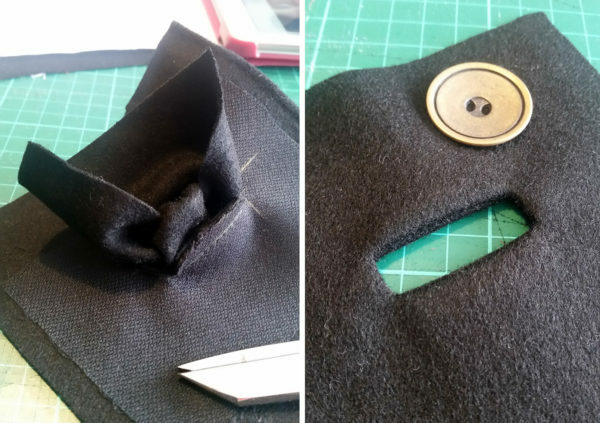 The inside button holes were much faster as you only need to do the first step to create a window.. The shell and lining are both complete but still separate and sleeveless. I have to insert my new zippers into the sleeves then attach them to both the shell and the lining.